Originally, from 1955, I worked in the Met Office at Speke Airport (later to be called Liverpool Airport and subsequently John Lennon Airport). I very much enjoyed being a weather observer – sending observations up to the control tower to be passed on to aircraft, but the job involved shift work, which included regular night duties. This was fine till I got married in 1961. At that stage, I became less enthusiastic about shift work and about the amount of travelling involved between Greasby and the airport: bus – ferry – bus – at least an hour each way. I didn’t drive in those days. So I decided to look for another job. Bidston Observatory came to mind. It was much nearer home and I knew they had a weather station there. So I wrote to the Director asking him if there were any job vacancies. He – Dr. Rossiter – invited me to go for interview and duly offered me a job! It was as easy as that in 1961. Nowadays, with high competition for every post, people can’t believe that it could ever be that easy. I was a very basic assistant at Bidston – one of 10 girls who were classed as ‘computers’. We operated tidal prediction machines – large machines consisting of gears, weights and pulleys which could be set to represent the contributions of sun, moon, location, etc. to the tides of a port. You can read all about these machines in other articles on this site. The scientific programs which turned these numbers into tidal predictions were written by the scientists – them upstairs! – it was all way beyond our understanding. We just operated the machines by foot pedals and a hand wheel and wrote down the answers – the more senior girls scanned our numbers looking for obvious errors. When plotted on a graph, the figures would form a smooth curve representing the pattern of the tide on consecutive days at the port concerned. Once the figures had been accepted as correct, we had to write them down on prepared forms – using pen and ink – no biros allowed – neat handwriting was essential for the job! There was a darkroom in the basement where our carefully written-out tables were photographed before being sent to the port authority concerned. This was a typically old-fashioned dark room with trays of chemical developers, subdued red lights, etc. In those days we did tidal predictions for many parts of the Commonwealth. Another of the girls’ duties was to maintain a daily weather diary. At 9 am each day – Saturdays, Sundays and Christmas Day included – the duty observer would take readings from the thermometers in the Stevenson’s Met. Screen sited on the Observatory lawn, change the temperature and humidity charts on the analogue instruments also sited in the met screen and change the chart in the tipping bucket rain gauge, as well as measuring any rainfall recorded in the rain bottle. The observer would then go up to the roof to change the daily sunshine card in the Campbell-Stokes sunshine recorder. The sun’s rays were concentrated through a solid glass ball to produce a burn on the specially-treated card. In the summer, this recorder was located on the roof of the ‘Dines cabin’ – the climb up the ladder to this site could be rather precarious on a windy day. In winter, the sunshine recorder was moved to the outside of one of the domes accessed from inside the dome by a small door (again up steps) facing due south. Because the sun is a lot lower in the sky in winter, and needing a smaller range of exposure, this was obviously safer for the staff than the outside summer climb. Inside the ‘Dines cabin’ was the Dines anemometer recording wind speed and direction on an analogue chart. There again the observer changed the chart on the instrument’s cylinder. The final job was to note the visibility from all sides of the roof. On fine days, we had a great view over Liverpool with the Pennines in the distance. To the north, we could see Blackpool and occasionally Black Coombe in Southern Scotland. To the west, we could see the Great Orme and the Snowdonia range. Taking the retrieved charts and the sunshine card, the observer returned to the office and calculated three hour readings for the past 24 hours and entered them into the weather diary. These diaries were beautifully produced for us by a company in Liverpool and, I believe, they are now housed in the Wirral Libraries Archive in the Cheshire Lines Building in Birkenhead. Another job for the duty observer was to fire the one o’clock gun at precisely 1 pm Mondays to Fridays. This was a tradition dating back to the building of the Observatory in 1866, when accurate time was not available to the business people of Liverpool. A very accurate clock in the Observatory was connected by landline to a gun sited at Morpeth Dock, on the Birkenhead side of the Mersey. When the observer flicked a switch at Bidston the gunfire was heard in Liverpool (the gun having first been duly primed by a docker at Morpeth). The practice was discontinued at Bidston in 1969, but still continues at observatories in other parts of the world. The girls had little association with the scientists who were mostly men. At coffee time – strictly 1045-1100 am (we daren’t overstay our time limit) – the men stood round the marble fireplace in the old dining room and the girls sat at the tables. There was little communication between the two groups. Incidentally, the girls prepared the coffee on a rota bases – strictly 50% warm milk – heated in a pan and 50% water. When the coffee was ready, spot on 1045 am, we pressed a buzzer – I think it was 2 buzzes for coffee break – to summon the staff from upstairs. At lunch time, on a fine day, the menfolk would often take a brisk walk over Bidston Hill usually talking shop. The girls tended to sit on the observatory front door step eating their sandwiches. It was quite a hierarchical situation at the observatory in those days – a total staff of only about 18 people – a sort of strict family atmosphere – and always quiet. I enjoyed working there. When I was expecting my first baby in 1964, people seemed quite relieved. It was several years since anyone had become a mum and they had thought there was a hoodoo on the place! Dr. Rossiter was very solicitous towards me when I became pregnant – he insisted on my desk being moved downstairs to save me having to climb anywhere or do anything at all strenuous. There was no thought of my returning to work after having the baby. Mums did not return to work in those days! In the event, I did return to Bidston part time when my younger son was nine years old and attitudes towards working mums were starting to ease. More stories of life at Bidston Observatory at this time can be found in my book “Bidston Observatory: The Place and the People” (Countryvise Ltd. 2006. ISBN: 978190121687). I was recently invited to attend a garden party to celebrate 150 years of the Bidston Observatory, hosted by Stephen and Mandy Pickles on Saturday 17 September 2016 in the grounds of Bidston Lighthouse. This gave me a deep sense of déjà vu, as it reminded me so much of my first day as a member of Bidston staff at the start of 1972. On that day, I drove up the same well-worn drive, past the sandstone wall entrance, and into the grounds. On my right hand side was a lawn that was shortly to be occupied by the new Proudman Building. But in early 1972 that area looked almost the same as it does now, except for a small vegetable patch that was attended to by a Mr. Connell. He and his family occupied the cottages that belonged to the lighthouse and had been built by the Mersey Docks and Harbour Board. On that balmy Saturday evening in September, I thought it quite strange that, here I was celebrating 150 years of the Observatory, and yet the ‘new’ Proudman Building had been built and demolished (in early 2013) within little more than 40 years, a fraction of the Observatory’s lifetime. The nostalgia continued as I parked my car behind the rear of the Observatory in almost the same spot as I had on that first day at work. I remembered thinking back; my father would quite often force me to join him on one of his marathon walks. One of his favorite treks was from Moreton to Bidston, then over the Vyner Road footbridge, past the windmill, around the Observatory boundary wall down to the village, then home. In the 1950s and early 60s, I was infatuated by science fiction and men-from-outer-space movies, and TV dramas like Quatermass and Doomwatch. For me, looking over the walls surrounding the Observatory presented all kinds of mysteries: What secrets were hidden inside the huge white domes? My youthful and vivid imagination had no bounds in ‘them days’. On my first day in 1972, I now had the chance to look at the Observatory from the inside out, as opposed to the outside in. How exciting! As I got out of my car and approached the entrance, a gentleman in front of me held the door open and greeted me with the words “Hello Kevin, glad to see you are joining us”. We then passed through the vestibule door and continued to chat in the hallway for a good ten minutes. He then finished by saying “you will be with Dr. Skinner’s group. I will take you to his office”. He gave a quick knock on the door, popped his head around, and said “Sorry Len, Kevin is not late, my fault I kept him chatting”. I was later taken through to the rear of the building for the mid-morning tea break when the same gentleman entered. I turned to one of the staff and asked “who the nice man was”. “That is Dr. Rossiter our director” was the reply. I was then informed that he was the brother of that brilliant actor Leonard Rossiter from the Rising Damp and Reginald Perrin television shows (come to think of it, they did look alike). [Editor’s Note: see mention of Rossiter and other Bidston Directors in an article by Graham Alcock]. So, allow me to digress about a couple of things that have struck me about time, and why I have given the title of this article as ‘Reflections on Time.’ It seems to me that we have different perceptions of time depending on the situation. For example, my first day at the Observatory was over forty years ago, and yet on that recent Saturday in September, it felt like only yesterday. Another example concerns my grandmother, who was 104 years of age when she passed away. When she was born in 1889, the Observatory building had been completed (in 1866) only 23 years before. So, why were we so concerned with celebrating the Observatory as an ‘historic building’, when my memories of my grandmother do not feel ‘historic’? She was just my Nan. So, time is a funny business. One of the main reasons for the Observatory was to provide accurate time. This gives me a chance to refer to a hero of mine called John Harrison, who had nothing to do directly with the Observatory but, of course, also had an important role in our maritime history. When a fleet of warships ran aground with the loss of many lives and ships due to bad navigation, a vast reward was offered by the King to anybody who could come up with a good way to improve navigation at sea. The main problem was how to calculate longitude, and many ideas were offered: for example, a crazy scheme for anchoring old redundant ships at fixed positions apart, distributed across the whole ocean. The establishment was convinced that the only way that longitude could be calculated, was by using the stars and planets. Harrison in the meantime concentrated on trying to develop a precision marine chronometer. His theory, that longitude could be calculated by the use of time to good precision, was treated with great disdain. To prove his theory, he would be entirely dependent on producing an accurate timepiece. This proved to be a formidable task. Not only had it to overcome a ship’s movement, but temperature played a significant part in the reliability of the timepieces he produced. Originally, clocks used a pendulum and weight with an escapement movement, but temperature would increase and decrease the length of the pendulum, making the precision he was looking for unsatisfactory. He spent many years trying to overcome this, by making the pendulum out of metal rods with different thermal coefficients of expansion, but alas to no avail. It was not until the latter part of his life that he produced the famous Harrison timepiece. The connection to the Observatory in this story is, of course, that the calibration of marine chronometers was subsequently to form an important part of activities at Bidston, in addition to the astronomical work in establishing the longitude of the port of Liverpool. Accurate time has historically not been very important for most ordinary people – the sun came up, the sun went down, and what happened in between was neither here nor there. However, for those people who did need accurate timing (on land), the development of affordable watches and clocks, supplemented by sundials, was enabling decent and routine measurements of time by the end of the 18th century. One way of providing accurate timing information to the general population was by the use of time balls controlled by nearby observatories such as Bidston. A time ball was a large sphere (a ball) on top of a shaft positioned on the roof of a prominent building. At precisely midday (or another time such as 1 pm), the sphere would be dropped and people (including ships’ captains) would set their watches. This was a satisfactory situation only when visibility due to the weather allowed the time ball to be seen. Instead, the time balls were eventually complemented by an audible signal such as made by a canon. Hence, the famous Liverpool “One O’clock Gun” came into being. 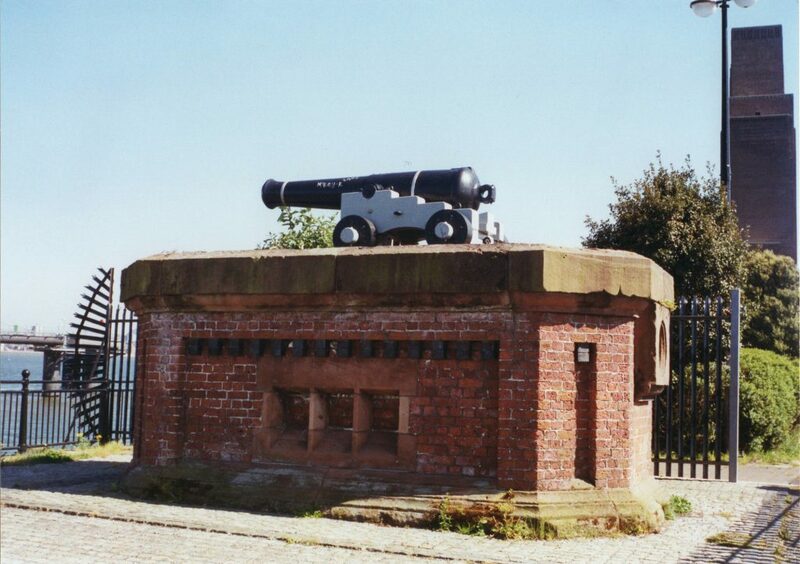 Originally the Liverpool Observatory was located at Waterloo Dock, and the gun (a remnant of the Crimean War) was fired from the Liverpool side of the Mersey. An improvement was made by moving the Observatory from Liverpool to the highest point on the Wirral side of the river, but close to the Dock Estate, this being Bidston Hill. The gun was relocated to Morpeth Dock in Birkenhead, and was now fired directly by an electrical signal from the Observatory. Time eventually became a significant factor in everyone’s life, and now controls our lives more and more. Everyone knows about the advent of the industrial revolution, and the development of the railway, and the national adoption of Greenwich Mean Time. Now we are controlled by our smart-phones by time that comes from space via GPS satellites. Everyone is in a hurry or we’ll be ‘late’. So I have been thinking back to that first day at work. At that time, I had many questions, such as “Why is the Observatory called The Institute of Coastal Oceanography and Tides, or ICOT for short?” Or, “What has oceanography got to do with astronomical observations?” These questions were answered for me over the years as I got to understand the relationships between the heavens and earth, and in particular the relationships between time and the tides, and so the ocean, and how these topics have evolved to become a crucial part of everyday life. This has been a very brief look, from my perspective, at ‘time’ and at some small aspects of life at Bidston Observatory. It would take many volumes to do it justice to it regarding topics such as the development of tide tables, the use of precise instruments (e.g. for earth tides), the collection of oceanographic data from around the world, the fieldwork at many locations etc. Perhaps other people can cover these topics on this web site. Some of the world’s most famous oceanographic scientists have worked at or passed through the Observatory during its history. I feel very fortunate to have experienced a small part of the wealth of that Bidston history. And I hope that its historical significance is appreciated by future generations. Research on Earth tides and ocean tide loading has an even longer history at Bidston Observatory than the work on ocean tides. This article gives a brief overview of the developments in these research areas following the measurements at Bidston in 1909 by John Milne, with particular emphasis on the contributions of the research groups at Bidston to the advances in these topics. Most people are aware of tides in the oceans, but are surprised to hear that there are also tides in the solid Earth. 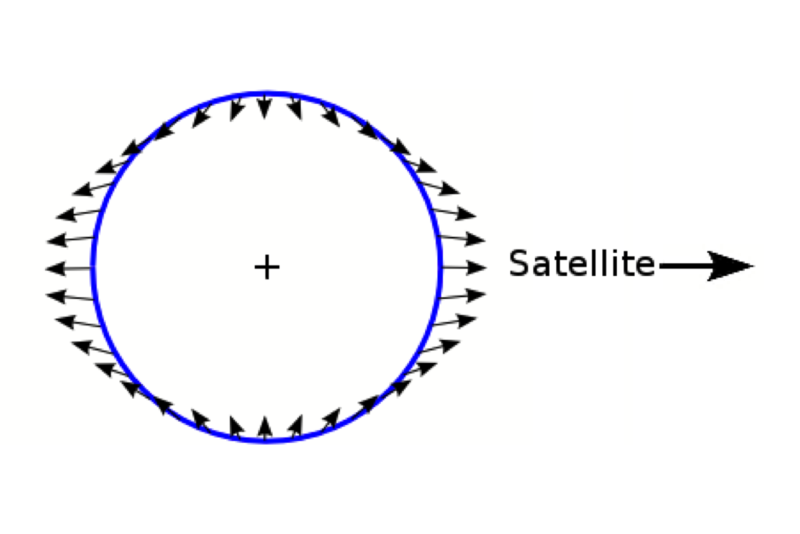 Figure 1 shows the gravitational tidal forces caused by the moon (the tidal forces caused by the sun are just under half of those from the moon). The ocean tides have a complicated spatial distribution because the oceans respond dynamically to these forces. In the case of the solid Earth, to a first approximation there is nearly a static response to these forces. Therefore the simple picture of two tidal bulges, one towards the moon (sun) and one opposite to the moon (sun) is appropriate for the Earth tide. Following the work of Kelvin and G. H. Darwin in the late nineteenth century, it is known that the response is mainly elastic and that the average rigidity of the Earth is similar to steel. The combined lunar and solar tidal deformation of the Earth is up to 40 centimetres in range at the Earth’s surface in low to mid-latitudes. The Earth tide in an Earth without any oceans is usually called the Earth’s body tide. Figure 1. The gravitational tidal forces on the Earth caused by the moon, which is on the right of the figure. In addition, the weight of the ocean tides deforms the solid Earth, giving a time varying deformation as the surface mass of the ocean tides moves around the Earth. This is usually called the ocean tide loading deformation. The Earth’s body tide and the ocean tide loading can be decomposed into the same set of tidal frequencies. The spatial distribution of the ocean tide loading is however more complicated, not only because of the spatial variations of the ocean tides, but also because both the near field ocean tides and the far field ocean tides have an effect at any given point. For example, for the principal lunar tidal harmonic M2 (with a period of 12.42 hours) the vertical displacement of the Earth’s surface reaches maximum amplitudes of 4 to 5 cm. in some areas (e.g. south-west UK, north-east Brazil and Central America). On the continents, it only decreases slowly with distance from the coast reaching typically 1 cm. at distances of the order of 500 to 1000 km. from the ocean. From the point of view of solid Earth geophysics, the main interest in measuring the tidal deformations of the Earth is to determine the Earth’s rheology as a function of depth. The tidal frequencies are very well known and offer the opportunity to measure the response of the Earth at lower frequencies than those involved in seismology. The body tide gives important information on the lower mantle and the Earth’s liquid core. The ocean tide loading, since it involves shorter wavelengths on the Earth’s surface, gives new information on the upper mantle. The main challenges in this research are to make accurate measurements and to use accurate ocean tide models. Although the displacements mentioned above are fairly large, it has only in relatively recent years that advances in space geodesy have enabled useful direct measurements of these displacements. For most of the past century the main technique that was used for these measurements was using very sensitive tiltmeters. Later, sensitive strainmeters became available and from the 1950s onwards sensitive relative gravimeters began to be used for tidal work. For anyone requiring more detailed information on the above, the review articles by Baker (1984), Harrison (1985), Zuern (1997) and Agnew (2015) are recommended. Early Measurements of Ocean Tide Loading at Bidston. New tidal tilt observations were made in the Bidston cellar in the 1930s. Doodson and Corkan (1934) used a Milne-Shaw seismometer for one month of observations. In 1934, funds were used from a Cambridge mathematics prize that was awarded to Proudman to purchase a new Milne-Shaw seismometer. Beginning in March 1935, one year of observations of the north-south tilt were made using this instrument (Corkan, 1939). After the second world war, from 1947-1955, Professor Rudolf Tomaschek from Germany worked in the UK at the Anglo-Iranian Oil Company (now BP) in collaboration with the University of Cambridge. He established a tilt and tidal gravity measuring station in the ICI salt mine at Winsford in Cheshire. During this period, he was a regular visitor at Bidston Observatory. At Winsford, he used 2 Tomaschek-Schaffernicht horizontal pendulum tiltmeters (T1 and T2), which were constructed in 1937 and operated previously at Berchtesgaden in Germany. He also designed a smaller horizontal pendulum (P1) which was built in Cambridge in 1950. For the tidal gravity measurements at Winsford, he made visual observations using a Frost gravimeter for 8 days and he also made similar measurements at a few other UK sites. The quoted accuracy for these tidal gravity measurements was of the order of+/- 4% in amplitude. After Tomaschek returned to Germany, his horizontal pendulums were modified and used by the Bidston research group in the research described below. Geoff Lennon made further observations of the north-south tilt at Bidston using the Milne-Shaw seismometer between 1952 and1954. For the International Geophysical Year 1957-1958 there were increased efforts to make observations of Earth tides around the world. In the Bidston cellar, modified Milne-Shaw seismometers were used to measure the tilts in both the north-south and east-west directions from July 1957 to December 1958 (Lennon, 1959). During the IGY, Slichter’s group at the University of California Los Angeles (UCLA) made tidal gravity measurements at various sites around the world using the newly available Lacoste and Romberg ET (Earth Tide) continuously recording gravimeters. Bidston was one of the chosen sites and the gravimeter was installed by Chris Harrison. Large Systematic Errors in Tidal Tilt Measurements. During the 1960s and 1970s there was a large expansion in the number of sites around the world measuring Earth tides, particularly tidal tilt. This usually involved adapting and using a tunnel in a disused mine, but Askania also developed a two component vertical pendulum for use in boreholes. In 1969, Lennon and Vanicek set up a site for measuring tilt in a disused lead mine near Llanrwst in North Wales, 20 km. from the Irish Sea. This was at a depth of 41 metres and was less affected by temperature changes than the Bidston cellar and therefore was more suitable for geophysical investigations. The Bidston cellar provided a useful test site for comparing various tiltmeters, before installation in the tunnel at Llanrwst (Figure 2 shows one day of the record from the Askania vertical pendulum tiltmeter installed in the Bidston cellar in 1971). The various tidal tilt measurements around the world were giving conflicting results between sites several kilometres apart and were also proving difficult to understand using available Earth models. These problems led to the development of several types of tiltmeter and many efforts to check the calibrations of the tiltmeters. What was difficult to understand was that, although anomalous results were very common, the sensitivity and quality of the tilt records were extremely good. The tiltmeters have typical resolutions of 0.2 msec of arc (i.e. less than one ten millionth of a degree) and the signal to noise ratios are similar to a coastal tide gauge. Figure 2. The north-south and east-west tidal tilts recorded in the Bidston cellar in 1971 using the Askania vertical pendulum tiltmeter. The off-sets are calibrations, which were made automatically by displacing small masses on the pendulum. At high tide in the eastern Irish Sea, the tilt at Bidston is down towards the Irish Sea with an amplitude of about 100 milliseconds of arc. The results from the various tiltmeters at different positions within the Bidston cellar had already shown some anomalies of up to 20%. However, the problem became much clearer with the new tilt measurements at Llanrwst. The Tomaschek horizontal pendulums T1 and T2 were set up in the centre of the tunnel and operated continuously for 2 years (1969-1971). The Askania vertical pendulum tiltmeter was fixed to the rock wall approximately 15 metres along the tunnel from the horizontal pendulums. For M2, it gave results in reasonable agreement with the horizontal pendulums in the azimuth of the tunnel. However, in the azimuth across the tunnel the Askania M2 amplitude was about 40% lower. It was clear that the cavity itself was causing the problem with the tilt measurements. A pair of papers in Nature suggested that strain-tilt coupling due to the cavity was causing all the problems with tidal tilt measurements around the world (King and Bilham, 1973; Baker and Lennon, 1973). The tidal strain field causes additional local tilting around the cavity itself, the exact amount depending on the detailed geometry and elastic constants. Thus, the basic problem is not with the tiltmeters themselves, but with the local situation of the instrument. Any type of tiltmeter faithfully records the tilt signal at that point. The problem is that it is simultaneously measuring the tidal tilt and some combinations of the components of the tidal strain field. This neatly explains why there are anomalies, but still high quality tilt records. Further observations at Llanrwst are discussed in Baker (1980a). These show that even in the centre of the tunnel the M2 tilt amplitude can differ by 5% for positions only 50 cm. apart. In 1972, W. E. Farrell (CIRES, University of Colorado, USA) published a seminal paper which, for the first time, showed how to compute the deformations due to surface mass loading on a spherical, radially stratified, gravitating, elastic Earth model. In 1973, I successfully applied to Chris Harrison and Bill Farrell for a Visiting Fellowship at CIRES in Boulder, Colorado and during a sabbatical from 1973-4, I made tidal loading computations for the British Isles, in order to further interpret our tidal tilt and tidal gravity observations. Model computations of ocean tide loading tilt (and strain) were used to show that an observation accuracy of about 1% is required in order to improve existing models of the crust and upper mantle derived from seismology (Baker, 1980a). There is no way that this accuracy can be guaranteed if there are unknown local strain-tilt coupling effects on the instrument. During the 1970s, there were many efforts by groups around the world investigating these strain-tilt coupling problems. It was soon realised that further strain-tilt coupling arises from the topography and from lateral variations in geology. The University of Cambridge, Department of Geodesy and Geophysics, research group showed that strainmeters in tunnels also gave anomalous tidal results, sometimes up to 30-40% in amplitude, caused by strain-strain coupling. With the difficulties of making accurate tidal measurements in tunnels, some groups turned their efforts to borehole tilt measurements. When these also started to give some anomalous tidal results, these were also abandoned. Eventually, 10 or so years after the developments of 1973, most tidal tilt and tidal strain activities around the world were abandoned. Some borehole tilt and strain measurements and long baselength tiltmeter (e.g. water tube tiltmeter) and strainmeter measurements still continue on volcanoes and in earthquake fault zones, but the emphasis is now on longer term changes in tilt or strain before or after events rather than on tidal work. Recently, Pugh, Woodworth and Bos (2011) measured lake tides in Loch Ness, in Scotland, using sub-surface pressure gauges and found that M2 had amplitudes of approximately 1.5 mm. The loch is effectively a 35 km. long tiltmeter and they found good agreement with ocean tide loading models. Tidal Gravity Measurements in Britain. Fortunately, the Bidston research group had 2 new LaCoste and Romberg ET gravimeters ET13 and ET15 and the research efforts began to be focussed more on these instruments as the problems with tidal tilt became increasingly apparent. After initial measurements in the Bidston cellar, a project to measure tidal gravity at other sites in Britain was undertaken between 1972 and 1975 (Baker, 1980b). The observations were made for 2 to 4 months at each site and for most of the measurements, a recording sensitivity of 2.5 cm. per microgal was used (1 microgal = one millionth of a cm/sec/sec or approximately one billionth of g, the acceleration of gravity at the Earth’s surface; the tidal gravity amplitude is typically 100 microgals). From 1971-1972, John Kuo from Columbia University, New York, had a sabbatical at the University of Cambridge. He used a Geodynamics TRG-1 gravimeter to make tidal gravity measurements at Cambridge. The gravimeter was then used to make measurements at Bidston and Herstmonceux. Figure 3. The right hand side shows the observed M2 ocean tide loading and attraction using tidal gravimeters, together with the contours of the amplitudes from model computations using early ocean and shelf tide models (Baker, 1980b). On the left are the M2 vertical displacement amplitudes computed with a modern ocean tide model. Figure 3 (right hand side) shows the observed M2 ocean tide loading amplitudes at each site (the M2 tidal gravity on an Earth without oceans has been removed from the observations). It can be seen that the observed M2 ocean tide loading is a maximum of 12.4 microgals at Redruth in Cornwall and a minimum of 0.5 microgals at Bidston. The observed M2 amplitude is 6.0 microgals at Taunton, in Somerset, and the whole of the south-west of England is tilting downwards towards the Atlantic, when the ocean tides are high off the south-west of England. The contours show the M2 ocean tide loading computed for an elastic Earth model (Baker, 1980b). For the global oceans, the M2 ocean tide model of Hendershott and Munk was used and for the seas around the British Isles, the Bidston shelf tide model of Roger Flather was used for the loading input on the Earth. It can be seen that away from the large tidal loading in the south-west of Britain, the M2 loading decreases to zero under the Irish Sea, in the eastern English Channel and off the north-east of Scotland. In these three areas, the local M2 sea tides are in anti-phase with the loading from the Atlantic Ocean to the south-west of Britain and the loads cancel. 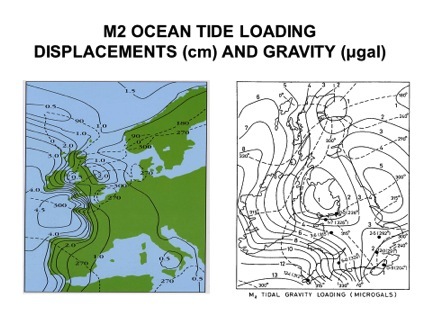 Although there is a complicated spatial variation of the M2 loading around Britain, the tidal gravity observations are in good agreement with the model computations. The left hand side of Figure 3 shows the M2 ocean tide loading vertical displacements for Europe computed using a modern global ocean tide model (a finite element ocean tide model from the Toulouse group). It can be seen that there is a very similar spatial variation around Britain to that found from the earlier tidal gravity work. The relationship between gravity variations and vertical displacement is between 2 and 3 microgals per cm. The gravity variation also has a component from the vertical gravitational attraction of the ocean tide, which affects the relationship between gravity variation and displacement. 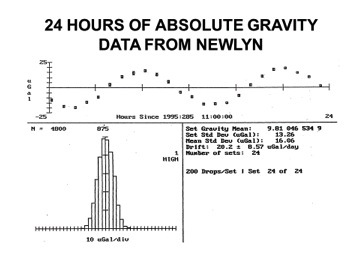 In the early 1980s, there were major controversies internationally concerning the interpretation of the large number (about 300) of tidal gravity observations that had been made around the world. The M2 and O1(period 25.82 hours) results for the tidal gravity stations that were available in the databank of International Centre for Earth Tides (ICET), were corrected for ocean tide loading and attraction using the latest global ocean tide model (the Schwiderski one degree model). The results were given in terms of the M2 and O1 gravimetric factors, where the gravimetric factor is the ratio between the observed tidal amplitude and the amplitude of M2 or O1 on an undeformable Earth without oceans (i.e. the vertical component of the tide generating force). The problem was that the corrected gravimetric factors were totally inconsistent with the new body tide model of John Wahr (University of Colorado, USA). Even on the continents, at large distances from the oceans, the corrected gravimetric factors were typically between 1% and 4% larger than the Wahr model. As well as the overall offset, the 4% scatter was hard to explain. Some papers attributed the scatter to the effects of lateral heterogeneities in Earth structure and a correlation with heat flow measurements was suggested. These important discrepancies were a major challenge, which we decided to investigate with our LaCoste and Romberg ET gravimeters. One obvious problem was that the majority of tidal gravity measurements had continued to be made with astatized gravimeters in the deflection mode e.g. LaCoste and Romberg G and D gravimeters and Geodynamics gravimeters. Astatized gravimeters use a mass on a spring, where the winding of the spring and the geometry are designed in order to give a high mechanical amplification of the movement of the mass. A tidal change in gravity gives a deflection of the mass, which is detected electronically using a capacitance transducer. The first problem is that the deflection sensitivity (millivolts per microgal) is time varying, because it is affected by environmental tilts of the gravimeter. The second problem is that the response of the spring in the astatized gravimeter is affected by hysteresis. This makes it difficult to determine the sensitivity accurately and also gives an amplitude response that differs between the tidal bands and also significant phase lags at tidal frequencies. For these reasons, Lucien LaCoste always said that these instruments should not be used in deflection mode and this was the reason that he designed the ET gravimeters, where the mass is continuously nulled by feedback, so that the spring does not change its length. In the tidal gravity work in Britain described above, our LaCoste and Romberg gravimeters had the LaCoste mechanical servos in which the signal from the capacitance transducer is used to turn the measuring screw and continuously keep the mass in the same position. We found that being mechanical, the system had breakdowns fairly often, which made it difficult to obtain the required continuous records of several months duration. It was therefore decided to change ET13 and 15 to electrostatic feedback. On the recommendation of Walter Zuern from the Black Forest Observatory in Germany, we asked Jerry Larson of Maryland Instrumentation, USA, to build electrostatic feedback systems for our ET gravimeters. He had successfully built feedback systems for the important UCLA ET gravimeter station at the South Pole and ET19 at the Black Forest Observatory. LaCoste and Romberg gave a measuring screw calibration factor for ET gravimeters with a quoted accuracy of 0.1%. However, comparing ET13 and ET15 at Bidston (Baker, 1980b) had shown that they gave results differing by 0.5% in amplitude. Before making any new observations, it was therefore decided to calibrate the measuring screws ourselves. About 85% of the signal recorded by a tidal gravimeter is just the vertical component of the astronomical tidal force and therefore accuracies of the order of 0.1% are required for investigating the body tide deformation component or the ocean tide loading. The ET gravimeters were taken to the vertical calibration line in the fire escape of a 19 storey building at the University of Hannover, which had been established by Wolfgang Torge and colleagues. This solved the discrepancy in the manufacturer’s calibration factors (it later turned out that other LaCoste ET gravimeters also had discrepancies of up to about 1%). Our ET gravimeters were then used to make a profile of measurements across Europe (Baker, Edge and Jeffries, 1989, 1991). Continuous tidal gravity data were obtained for a few months at Brussels, Bad Homburg (Germany), Zurich and Chur in Switzerland. In Europe, the O1 tidal harmonic is particularly useful for testing the body tide models, because the ocean tide loading and attraction correction is very small (less than 0.4% of O1). The Schwiderski global ocean tide models augmented with the Flather tidal model on the European shelf were used for the loading and attraction model computations. 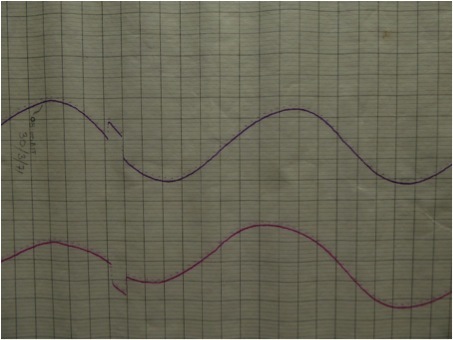 The corrected observations were used to test the Dehant-Wahr elastic and anelastic body tide models. For both M2 and O1 the agreements with the body tide models are of the order of 0.1% in amplitude and 0.1 degrees in phase. This was the first time in tidal gravity that accuracies of 0.1% had been achieved and this is a factor of 10, or more, improvement over previous tidal gravity measurements. The measurements in Brussels showed that the ‘standard’ O1 amplitude at Brussels was 1.2% too high. This ‘standard’ O1 amplitude in Brussels had been used to normalise the calibrations of many of the tidal gravimeters before they were used around the world and this led to the bias in the International Centre for Earth Tides databank discussed above. Our profile of observations from Brussels to the Alps in Switzerland showed that in this area at the 0.1% level there is no dependence of the gravimetric factors on lateral changes in Earth structure or correlations with heat flow. The only reasonable explanations that are left for the scatter of the earlier gravimetric factors are the problems of astatized gravimeters without feedback discussed above. From the mid-1980s onwards, superconducting gravimeters (SGs) developed by the GWR company in the USA, began to be deployed at a few sites around the world. In these instruments, instead of a test mass on a spring in the usual relative gravimeters, the test mass is a superconducting sphere supported by the force gradient of the magnetic field generated by a pair of superconducting current carrying coils. Again the mass is kept in a fixed position using an electrostatic feedback force. These instruments have very high signal to noise ratios and the drift rates are very small, which makes them very suitable for measuring the long period tides. The SGs were not calibrated and the user had to provide their own calibration of millivolts per microgal. This was usually done by recording in parallel with a spring gravimeter and therefore the accuracy was no better than the spring gravimeter. Later, parallel recording with an early generation of absolute gravimeters was used to provide a calibration. In the late 1990s, parallel recording for several days with the new Micro-g LaCoste FG5 absolute gravimeter began to be used to provide calibrations accurate to 0.1%. A global network of observatories with superconducting gravimeters was set up and from 1997 coordinated under the Global Geodynamics Project (GGP) run by David Crossley (University of St. Louis, USA) and Jacques Hinderer (University of Strasbourg, France). Baker and Bos (2003) computed the O1 and M2 ocean tide loading and attraction at 15 GGP stations using the 10 latest ocean tide models. The model results were then used to correct the observations at each station in order to test the Dehant, Defraigne and Wahr body tide models. At most of the European and global stations the corrected observations agreed with the models at the 0.1% level, thus verifying the conclusions of our work with spring gravimeters described above. The notable exceptions were discrepancies of order 0.3% at Metsahovi (Finland), Esashi (Japan) and Wuhan (China). Later tests at these stations confirmed that the discrepancies were due to calibration errors, rather lateral heterogeneities in Earth structure. The O1 results in Europe, for both spring gravimeters and SGs, give phase lags of the order of a few hundredths of a degree. At this stage, it is not yet clear whether this is a phase lag in the Earth’s body gravity tide or remaining errors in the determinations of the phase lags in the gravimeters. Baker and Bos (2003) also used the GGP results, together with our LaCoste ET measurements in Wuhan (China) and Curitiba (Brazil), to assess the different ocean tide models that were available. The earlier model of Schwiderski was shown to have errors in several areas. The FES series of ocean tide models have significant errors in the western Pacific as shown by the tidal gravity observations in China, Japan and Australia. In contrast, Bos, Baker, Rothing and Plag (2002) used tidal gravity measurements on Spitzbergen to show that the FES99 ocean tide model gave an excellent fit to the gravity results and was even better than the regional Arctic Ocean tidal models. GPS Measurements of Ocean Tide Loading. Baker, Curtis and Dodson (1995) used GPS observations near the Newlyn tide gauge to show that GPS had reached the stage where it could be used to measure ocean tide loading displacements. Over the years, GPS improved even further and long continuous GPS time series became available for a very large number of sites around the world. At the same time, the global ocean tide models continued to improve substantially as more satellite altimetry data became available. These two developments gave the opportunity to re-visit the ocean tide loading investigations by using direct measurements of the tidal displacements. A project with the University of Newcastle to take advantage of these developments was successfully completed. Bos, Penna, Baker and Clarke (2015) used continuous GPS observations from stations in western Europe with 3 to 6 years of data between 2007 and 2013. Kinematic precise point positioning was used to measure the M2 ocean tide loading displacements at 259 sites covering the area from the north of Scotland to southern Spain and from western France to Switzerland and Germany. The high spatial density of the GPS results showed an excellent spatial coherency for the observed M2 vertical loading amplitudes and phases across Europe and the accuracies are about 0.2 mm. These measurement accuracies, together with the accuracy of the ocean tide model loading input onto the Earth, made it possible, for the first time, to investigate the Earth models of the crust and upper mantle. The research shows clear evidence that there is anelastic dispersion in the asthenosphere (depths from 80 to 220 km.) which gives a reduction in the shear modulus of 8-10% at tidal frequencies compared to seismic frequencies. This dispersion in the asthenosphere can be represented by a frequency independent Q from seismic to tidal frequencies, with Q = 80. Ocean Tide Loading Corrections for Geodetic Measurements. The models of the Earth’s body tides and ocean tide loading discussed above are also required for make corrections to precise geodetic measurements that are being used to determine longer term crustal movements. These can be tectonic movements or the movements associated with rebound or subsidence following the melting of the major ice sheets. In the 1990s, we started a collaborative project with the University of Nottingham to make continuous GPS measurements near UK tide gauges, together with absolute gravity measurements using the new FG5 absolute gravimeter. These measurements are required for separating the vertical crustal movements at tide gauges from the long term changes in mean sea levels (Teferle, Bingley, Williams, Baker and Dodson, 2006; Williams, Baker and Jeffries, 2001). This work was funded by NERC and the flood defence agencies (MAFF, DEFRA and the Enviroment Agency). We are also collaborating with the NERC Satellite Laser Ranging (SLR) facility at Herstmonceux to make absolute gravity measurement in parallel with the SLR and continuous GPS measurements. The absolute gravimeter works on the principle of measuring the positions of a falling mass in a vacuum using a laser interferometer and has an accuracy of about 1 to 2 microgals. Figure 4 shows 24 hours of observations with the FG5 at Paul, near Newlyn. All corrections have been applied except the corrections for ocean tide loading and attraction. The very clear signal with an amplitude of about 20 microgals shows the large ocean tide loading and attraction in the south-west of England (see Figure 3). Loading due to storm surges also causes deformations over a wide area, which have to be taken into account e.g. a 1.5 metre storm surge on the east coast of England causes Liverpool to be displaced downwards by about 1 cm. Figure 4. 24 hours of absolute gravity observations for a site near Newlyn in the south-west of England using the Micro-g LaCoste FG5-103 absolute gravimeter. The large signal with an amplitude of about 20 microgals is the ocean tide loading and attraction (see also Figure 3). This is corrected at the next stage of data processing. Baker, T. F. (1980a), Tidal tilt at Llanrwst, North Wales: Tidal loading and Earth structure, Geophys. J. R. astr. Soc., 62, 269-290. Baker, T. F. (1980b), Tidal gravity in Britain: tidal loading and the spatial distribution of the marine tide, Geophys. J. R. astr. Soc., 62, 249-267. Baker, T. F., (1984), Tidal deformations of the Earth, Sci. Prog. Oxf., 69, 197-233. Baker, T. F. and M. S. Bos (2003), Validating Earth and ocean tide models using tidal gravity measurements, Geophys. J. Int., 152(2), 468-485. Baker, T. F., D.J. Curtis and A. H. Dodson (1995), Ocean tide loading and GPS, GPS World, 6(3), March 1995, 54-59. Baker, T. F., R. J. Edge and G. Jeffries (1989), European tidal gravity: animproved agreement between observations and models, Geophys. Res. Lett., 16, 1109-1112. Baker, T. F., R. J. Edge and G. Jeffries (1991), Tidal gravity and ocean tide loading in Europe, Geophys. J. Int., 107, 1-11. Baker, T. F. and G. W. Lennon (1973), Tidal tilt anomalies, Nature, 243, 75-76. Bos, M. S., T. F. Baker, K. Rothing and H.-P. Plag (2002), Testing ocean tide models in the Nordic Seas with tidal gravity observations, Geophys. J. Int., 150, 687-694. Bos, M. S., N. T. Penna, T. F. Baker and P. J. Clarke (2015), Ocean tide loading displacements in western Europe: 2. GPS-observed anelastic dispersion in the asthenosphere, J. Geophys. Res. Solid Earth, 120, doi:10.1002/2015JB011884. Corkan, R. H., (1939), The analysis of tilt records at Bidston, Monthly Not. R. astr. Soc. Geophys. Suppl., 4(7), 481-497. Doodson, A. T. and R. H. Corkan (1934), Load tilt and body tilt at Bidston, Monthly Not. R. astr. Soc. Geophys. Suppl., 3(6), 203-212. Harrison, J. C. (1985), Earth Tides. In Benchmark Papers in Geology Series, pp 419. Van Nostrand Reinhold, New York. King, G. C. P. and R. Bilham (1973), Tidal tilt measurements in Europe, Nature, 243, 74-75. Lennon, G. W. (1959), A report on the progress of work on IGY tilt observations at Bidston, Proceedings of the Third International Symposium on Earth Tides, Trieste, 1959. Milne, J. (1910), Surface deformation and the tides, Nature, 82 (2102), 427. Pugh, D.T., P. L. Woodworth and M. S. Bos (2011), Lunar tides in Loch Ness, Scotland, J. Geophys. Res., 116, C11040, doi:10.1029/2011JC007411. Teferle, F. N., R. M. Bingley, S, D. P. Williams, T. F. Baker and A. H. Dodson (2006), Using continuous GPS and absolute gravity to separate vertical land movements and changes in sea-level at tide gauges in the UK., Phil. Trans. Soc. A, 364, 917-930. 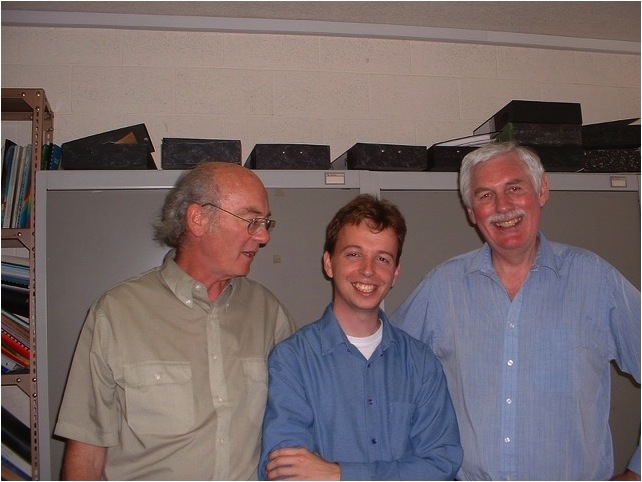 Williams, S. D. P., T. F. Baker and G. Jeffries (2001), Absolute gravity measurements at UK tide gauges, Geophys. Res. Lett., 28, 2317-2320. Zurn, W. (1997), Earth tide observations and interpretation. In Wilhelm, H., Zurn, W, and Wenzel, H-G. (eds)., Tidal Phenomena, pp. 77-94, Springer-Verlag, Berlin. Figure 5. Graham Jeffries (left), Trevor Baker (right) and Machiel Bos (centre). Machiel came from the Netherlands to Bidston from 1996-2000 to do his PhD. on research into ocean tide loading. He now works at the University Beira Interior, Portugal and has continued to collaborate with Bidston/NOC on various projects.